So many fragrances have been Discontinued, Changed or Reformulated over time that it’s hard to wrap your head around it. Anyone buying Opium, Magie Noire, Diva or Miss Dior in 2019 will be gobsmacked by how different they smell to the originals. Even some less vintage fragrance lines like CHANEL exclusives, Maison Christian Dior Collection, Serge Lutens or the Malle line have been hacked into and given refreshes. We await changes on other brands bought out by big fragrance. Then there are the slew of fragrances that have gone from the counters forever, impossible to find for less that a small countries annual GDP and then you better hope it’s not a fake or refilled. So what are the three you REALLY wish you could have 200ml of in pristine condition? Imagine there was a perfume fairy that could grant these wishes. No question of expense or postage, snap and the three bottles appear. I know, the EdP is still available. Yes it’s not bad. There is a lightness and buoyancy missing though. A projection and joie de vivre flattened and homogenised. Though I will continue to buy and wear CHANEL No 22 in EdP, and will get used to it and love it, a part of me will yearn for the over the top fun of the EdT. My memory of multiple spritzing it in the 31 Rue Cambon store because I thought it was going to be a soft focus fragrance like most of the range. My mate Michael’s face looking horrified and then him waterskiing in my sillage for the rest of the day and us laughing about it when the jumper smelled of No 22 for the whole holiday. Wonderful times, and special memories. Don’t worry. I do have a stash of this magnificent tuberose/jasmine/ylang village monster. It will last me a lifetime. What makes me sad is something so fabulous and glamorous, created the year before Versace Dreamer (another favourite), heralded the pinnacle of Versace fragrances. It was the diamond that came before they seemed to give up on making fine fragrance. Yes, they still make fragrance and they are not terrible but they also miss the interest, aspirational creativity and magic of the Versace mid 1990s releases. Yeah, you all know how much I love my Miss Dior in vintage. It seems that DIOR, the department store perfume section of the brand anyway, is going the way of Versace. We will look back on it with sad faces and angry regret. If only they hadn’t completely changed, renamed, culled, cut and remade Miss Dior. 200ml of the original EdT in pristine condition would make me weep with joy (another thing LVMH DIOR has F#@Ked, don’t even get me started). beauty, CHANEL, DIOR, Fashion, Fragrance, Niche, Perfume, Review, Reviews, Saturday Question, Saturday Question: What Would You Bring Back?, Versace, What Would You Bring Back? Holy crappa this is a very very very hard question!!!! Must I limit it to three? Can’t I cheat? all the original Annick Goutals (same deal, discovered them in Paris and went berserko trying to find them in the States)…..all of the old ones (Including her very first fragrance Folavril which was inspired by her face cream…mango and tomato leaf…holy cow that was good) along with eau de Ciel (that was the bottle I bought in Paris) and eau de Camille (best green ivy honeysuckle out there)…. I am such a greedy old lady !!!!! and Heaven!!!! How could I forget Heaven! I want the original formulation with the incense in the base in that huge 4oz bottle for the same price it was in 1995! Just thought of one more…Gap Grass…circa 1994..it was part of the original Gap fragrances which included Heaven…it was the greenest scent going…and so ridiculously affordable…it had a cult following…they resurrected it in the 2000s but it had been reformulated..and after the resurrection it was d/c again. Also, Gap OM….fantastically affordable sweet incense…. No worries Brigitte. I knew you’d all go crazy with this one. Did you ever smell the Calyx body lotion? Ha! thanks P! I knew you would understand! No !!! I never smelled the body lotion!!! bet it was amazing!!!! Oh and Portia I would also bring back no 22 but I would like the refill EDT that went into the sleek white and gold canister (looks like your no 19 canister but it’s white lacquer instead of silver metal) for the price that I paid in 1997 – $37.50 USD- versus the current exclusive prices. Plus, there was a lot more incense in that one pre-reform…..the more current but d/c EDT had more vanilla and amber…. Funny you should mention that white canister Brigitte. I may have a couple of them lying around the house. I wish you lived closer, we could tea and sniff every week. I knew you couldn’t limit yourself to three! And neither could I.
Hahaha, I know how you feel. What is three compared to hundreds of spoiled or discontinued gems? I have every full bottle since 1994 and a mini of 1993….lots of empties in my basement! Oh no, so you’re keeping empty bottles too, Mrs M? I had a bottle of Antidote, it was very cool stuff. Hi Alen, by Versus you mean the V/S Versus from the early nineties? Male was in a blue box and female in a pink box. I have a little vintage Samsara in the earliest red bakelite spray bottles. It’s freaking swoon worthy Matty, so good. Iris Ganache please and thankyou. OK JackieB, So was that three bottles of Iris Ganache? Miss Dior, 1889 version of Jicky, Gucci Envy and Shishido version of Feminite du Bois. Body Shop oils of Vanilla, Japanese Musk and Sandalwood. Crabtree/ Evelyn Sandalwood, Gardenia, Vanilla , Spring Rain, and their original Christmas range ,named White Christmas. Hopefully I’m not being too greedy. Oopsy I missed the part where I could only name 3!! I do need to add another ,however. That is a Limited Edition First which I just adored, named ‘something ‘ Bouquet. OOO! I forgot all about the Body shop!!!! They had a musk called Wood Musk which I absolutely adored!!!! My parents found an empty of it in their apartment and brought it to me several years ago. I refilled it with a carrier oil and would you believe it picked up the fragrance that remained enough for me to wear it as a lighter perfume oil? Then I thunked that one too!!!! and Body Shop Dewberry!!!!! does anyone remember that one? HA! Greedy is all good around here Sally Anne. It’s part and parcel of our addiction. Totally agree on the Shiseido FdB. I was gonna start with Envy but I’ll be original and say; Origins Spring Fever, Aspen for Women, the early Escada Summer Editions, and Sonoma Scent Studio Velvet Rose for my mom. There are a lot more, but I miss those fresh, crisp, easy scents that didn’t smell of sugar. Crap, I forgot Crabtree & Evelyn original Evelyn. That one tops the list. and btw, I adore your instagram…I can get my daily dose of ‘cat’ 🙂 They are so adorable! Perfectly put…those fresh easy scents that did not smell of sugar…that is how I would describe those early Escadas….I have all my empty bottles in my basement from 1994 to 2018…..the earlier ones (pre 2002 before Escada was bought out) were definitely the better ones. and seeing you here reminded me of another one…the eau de Missions which I once erroneously called Eau de Minions on NST…it was a beautiful fresh citrus herbal that sold for dirt cheap at Ulta…and I am fairly certain it’s been discontinued. HA! I thi k we all wish for more than three. Doesn’t matter Mikasminion. it’s all for fun. Envy was a fabulous frag. I still have an unopened 100ml bottle of the mens. I’m fairly new to perfume and haven’t experienced many of the goodies in vintage- especially the Diors. But I am hoarding a few things: Gucci Envy, everything Sonoma Scent Studio (Jour Ensoleille – why didn’t I buy a bottle instead of a travel spray! ), Samsara, Emeraude. I continue to wear them but I will seriously be sad when they are gone. One day you will come Sydney and hit my vintage collection MMKinPA. I also jealously guard one bottle of Gucci Envy! From the lost treasures of recent years, I’d like to see Ostara back on the shelves and more widely worn. Wouldn’t it be great to get wafts of that around town? PLENTY of Ostara wafts around here Crikey. I love it. Oh, I’m fine for Ostara… I was thinking more generally, that I’d love to see it back in production and wildly successful. I haven’t experienced Diorling when it was in production but many years later I tried a vintage sample and almost cried so unfair it felt that it was not available any longer. I think the only way I will ever get to wear Diorling again is if the perfume fairies step in. The rare vintage bottles go for such ferocious amounts of money, and the new version is a travesty. It’s one of the perfumes that made me first really love perfume–Miss Dior was the other. I bought myself a houndstooth splash EDC at an airport when I was sixteen and heading back to boarding school and felt *beyond* glamorous and grown up buying that. (I lost the partial remains on a train about few months later. I moved on to other things, and when I decided to buy some more Diorling a couple of years later, I was too late. It was discontinued. You made me curious so I researched Diorling as that is one Dior I never tried. Interesting and lovely…someone wrote that it was discontinued along with Diorama? I guess then brought back but the current version is no good. crikey- Just saw an 8oz houndstooth bottle on sale on ebay (that’s the size you need!) and you are correct the prices are insane! Even the reformulated one is expensive! Yep… killed off back in 1986 😦 It may have shifted and changed and been over-perfected in my memory but I don’t think there’s anything that fills that gap. Whereas, I think the closest thing to the original over-ripeness of Diorama in sensation these days could be Jubiliation 25, even if it’s quite different. Ostara is one of the only fragrances for which I have a back up bottle. I can’t imagine why Penhaligon’s discontinued it! The word was that it didn’t sell at all. They killed it only months after release OH. They should have given it more time, of course. It won some recognition the year it came out, and it gets a lot of deserved love online these days. Discontinued and especially reformulated fragrances make me weep! I would bring back: 1) the original Coty Emeraude from 1921, the original and most gorgeous Oriental (not the Jolly Rancher green crap at drug stores from the 80s onwards); 2) the original L’Heure Bleue by Jaques Guerlain from 1912, I can only dream how velvety beautiful this fragrance must have been; and 3) Coty L’Aimant launched in 1927 (again, not the 80’s and going forward drug store variety that would make one recoil in disgust). I wish that perfume fairy existed! I’ve had the honor of sampling Emeraude and L’Aimant from the 30’s and 40’s, so worthy of my adoration! I laughed at your sillage of No 22 Portia. I have the EDT as well and am sure I’ve stunned people in the past with my heavy sprays. I actually wore it yesterday to the gym and maybe should have reconsidered that! HA! No 22 is enormous. That’s just the way I love it too. For me, I would like all the Serge Lutens perfumes back in their original formulas, plus the orfginal Nina Ricci L’Air du Temps for my mom. I have some older Nina Ricci L’Air du Temps, not original but late 20th century. Still good. Yohji EdT 1996 version for my sister, vintage Apres l’Ondee, 1980’s LouLou, and all Goutals in their former glory for good measure. And Sonoma Scent Studio’s perfumes resurrected as I never had the good sense to order any of them when still around. If you ever get to Sydney I have “vintage Apres l’Ondee, 1980’s LouLou, and all Goutals in their former glory” NOT ALL but quite a few of the Annick Goutals. Now that is an incentive to visit Sydney! What a kind offer. I actually would love to travel to Australia, we need to find a way to leave our business for a few weeks with enough peace of mind to enjoy being away. Ahhhh, Being a business owner can be totally binding. Believe me, I know. Charlie!!! I read that the current formulation isn’t half bad. I wore that one ..also, Jontue…anyone remember that one? I only remember Charlie! So long ago….but I still love most of its notes…oakmoss, hyacinth, aldehydes, galbanum, vetiver, sandalwood…but looking up Jontue I would have loved it! Mimosa, oakmoss, chamomile..mmm. Have you ever smelled Jontue’s current incarnation? No have not smelled Jontue in decades. I am sure it has been reformulated twenty times over. The current Jontue is a little flat. Still a pretty floral, but it hasn’t the full body. Given its price, I am hardly expecting decent quality materials. Current Charlie is ok. I wear it when I need an oakmoss blast. Given the that state of affairs in the ingredients list, Charlie survived somewhat intact. I remember Jontue being a powerhouse…and yet we all wore it when we were preteens…funny how back in the day we did not blink an eye wearing some of those chypres and heavy hitting florals…I could not even imagine my girls wearing those scents when they were younger…but I guess that was what was popular back then. The irony is La Vie Est Belle and its many flankers, and Flowerbomb and its many flankers are hard hitting florals too. And aren’t some moderns now considered chypres of sorts?! Sure, Jontue was a favourite of a girlfriend of mine from high school. It was quite sweet for my taste. now that I think about it you are absolutely right..it was quite sweet. Shiseido Nombre Noir parfum, which I’ve only been able to buy little bits of, original Iris Gris from Jacques Fath (same), and Guerlain Coque d’Or, original 1937 formula (haven’t tried, but I ache for this). The top of Orris starts with the mix of iris, rose, pepper, cinnamon and grapefruit. The floral character is what hits my nose first followed by the tang of grapefruit and the zing of pepper and cinnamon artfully kept at a level that keeps the spices from overwhelming the florals. The iris, rose and cinnamon linger and are joined by what might be my favorite incense accord. This is is not the high mass incense or the head shop incense, this is incense from inside a Tibetan temple in which a fire is built as there is a smokiness in conjunction with the sweetness of the incense. Combine this with the now-dominant rose and cinnamon and the heart of this is incredible. Finally the woods make an appearance as a mix of sandalwood and agarwood (oud) show up and now turn this scent into a woody wonderland as the creaminess of the sandalwood complements the strength of the agarwood and brings this to a resounding crescendo at the close. #2 Original (1947) Vent Vert by Balmain. I so love a green (galbanum) that kicks you right in the face and this one did just that. What is out now-feh! I would not even use it as guest bathroom after poop spray. It’s insipid and an insult to what Vent Vert was. #3 In keeping with beloved green scents, back in the late 90s (I think), S-Perfume came out with an intense green called something like Envy or Craving. Don’t recall. Christophe Laudamiel created the line or maybe just that one particular one. There was also a scent called S-ex and a few others that, in my opinion, were crap. But this one. Holy Anointed Scholar of Thebes! So green, so fierce. I had a small bottle and I hoarded it until at long last I only had the empty bottle that I would sniff with sadness and longing. oh hell yes on your #2. Vent Vert was a marvel. Ha Ha Ha on Chandler Burr. Maybe he has secrets? 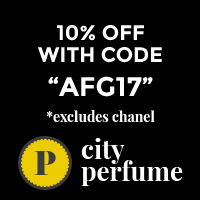 I would love to have AG’s Eau de Camille back again – I wore it for so long and loved it so much. I’ve also fallen for vintage No.19, both parfum and eau de toilette, and would really like to have that available/affordable. Finally, I’d love to smell the original Chloe from the 70s – it was my first perfume (that I chose, not a present) and I remember loving it, but I can’t remember exactly what it smelled like! Eau de Camille was glorious. The original Chloe (of which I have approximately 1 ml left in extrait version) was a tuberose …so gorgeous…I wore it in the late 1970s into the 1980s. Well, I often wear Carnal Flower and am thinking of trying Moon Bloom, so I am to some degree a tuberose girl. Are we scent twins? I bought my first Chloe in 1976 and wore it till 1981, when I moved on to Anaïs Anaïs and Tamango, then Eau de Camille in 1985. Well it’s been compared to Calandre and Rive Gauche which means I would have loved it. The only Leonard I wore was Balahe. Had I known about Tamango I would have sought it out. Moon Bloom is damn good. I own a cellophaned bottle of Lagerfeld Chloe… this is the scent you are speaking of, right? Yes it was the Lagerfeld one. my extrait lives in that calla lily bottle…tiny but beautiful. My Mum went through a few years of wearing that original Chloe. I think the rep gave her a bottle to wear way back when it was still Parfums Lagerfeld, they may have kept it in the shop. I still have a bottle of the same except now it’s parfums Chloe. It’s still lovely. I’m amending my original answer. While it would be exciting to smell and wear fresh versions of long gone vintage versions… I didn’t think about the limited edition problem and the impossibility of replenishing something I wear and adore now. So, I’d willing swap at least two of my three for 200ml of Aeon 001. WOW! That would cost a good deposit in an apartment. Aye. Pure fantasy perfume dreams–but imagine waking up to find that the fragrance fairies had left whacking great big bottles of Diorling and Aeon on your dresser! Ha Cookie Queen, I must say I considered your option at the risk of excommunication (although in my experience perfumista’s if anything are forgiving for trespasses ;-)), but there is some pleasure to be had in that which you can’t have I think as long as it is just that, pleasure, not drama! Val, we are the polar opposite…my skin devours scent and I have probably drained over four hundred bottles in my lifetime. But I have been wearing perfume daily since maybe 1970 or 1971? HA! I think you need to do far worse than this to be excommunicated Val. I’m surprised you so rarely run out of things. 12 hours!!!! Wow! that is amazing longevity! I am lucky if I get three. If I super slick oil my skin I can maybe get five. I believe you Val! And no one can take that card from you. I like the attitude and mostly share it I think, but I do have a vat of Misia EDT tucked away that should last me out. 3/ APOTEKER TEPE : HOLY MOUNTAIN – one of the weirdest and most magical smoky incenses ever formulated. They look like three excellent dreams Trabuquera. I’m with Brigitte on the Cristalle, and I miss Dioressimo. Most of the vintage doesn’t smell the same to my nose because of the degradation of the top citrus notes…but I know that some fare even worse than others…I guess Diorissimo is one of them…. Tanja, congratulations on your win!! If you see it, you should try Shiseido White Rose. I don’t know if they still have it but several years ago it was in production in Japan only, and I think it was beautiful (not sure if worth its price but beautiful). A friend of mine brought it back from her trip to Japan, so I had a chance to try it. I will second White Rose. I had a sample of it and used it up. It’s very beautiful. I will send you a sample of vintage Opium EdT Tanja in your prize pack. From the original splash bottle. Congratulations on your win Tanja. I only needed a minute to come up with the answer: Vol de Nuit, Chant d’Aromes and Parure and/or Tabac Blond, the way the used to be in the 70-es. I already have a stash of vintage Miss Dior, Mitsouko and Shalimar so I’ve chosen those I don’t own. Perfume gods, can you hear me 🙂 ? I wish there was a magic machine that could produce on demand any of the discontinued or reformulated perfumes in the exact formula from the requested year. I wouldn’t mind getting the result in a plain generic bottle and pay more than the current price of the equivalent class of perfumes – as long as the scent comes out as it used to be. My first order would be Lancôme Climat parfum. I have a bunch of later re/issues and versions and enjoy wearing them but I would love to be able to experience it again in the formulation with which I fell in love with this perfume (70s). Miss Dior would be my second order. I’m not sure in what concentration though… May I have a set of parfum and EdT? 😉 I have never smelled it in the original form so I’d be fine with the 70s’ iteration. Believe it or not, I don’t have the third perfume that I would equally want to resurrect. I mean, I wouldn’t mind to get more of those that went away once I finish my current bottles of them, or would love to try something about what I only read. But nothing comes close to the first two on my list. One more perfume though came to mind, and I decided to take another chance at figuring out what it was since there are many not US readers here. If you have time, take a look at the first picture and the first story here on my blog that I did 4 years ago (https://undina.com/2015/01/24/four-stories-for-the-fourth-anniversary/). By chance, has anyone ever seen this perfume or knows what brand it was? I never saw Paris-Paris before Undina. good luck in your search. OMG, Climat! What a beauty! My aunt used to wear it in the eighties. I’ve seen it recently in an obscure duty free shop and I almost blind bought a bottle but I knew it was the reformulation and it wasn’t cheap so I decided against it. There was no testerl I didn’t know they still produce it. The only version Lancôme has in current production is EdT, which is OK – though, I’ve never tried the original EdT so I cannot tell how much different the latest one is. Before that, several year ago Lancôme re-issued it in the EdP format in limited edition for Russian market only (3,000 bottles). It is not bad but with all the current regulations it couldn’t be the same. And my favorite version is the previous re-issue as a part of their anniversary collection (La Collection, in white boxes). You can still find those online in sets of 4 15 ml bottles, one of which is Climat. All those parfum bottles that are sold in traditional square boxes with a golden box on the front are assumed to be fake. For about six years I have been on the fence about purchasing Climat because of your love for it…but it would be a blind buy which is how I have talked myself out of it! I once saw the extrait at an online retailer for a very good price but stopped myself. In the main, I am with Val. There isn’t really anything I’d give to have brought back. Luckily, I got to experience quite a few vintages in my youth. Michelle by Balenciaga, Tango, some Rochas beauties, Miss Dior and the Diors around in the 70s… Plus the first Poison edt to hit Aussie shores. Of the things I have never tried, such as Iris Gris, I have no desire to seek them out. I am actually quite content exploring current perfume production. I am feeling there is a good fortune at being alive to experience all these amazing scents coming out now. It is enough to keep me busy. Having said all that, I’d love to get my mits on Body Shop’s Of A Woman. I had quite a few bottles and used them up within one year. A record for me. Of A Woman is selling on ebay but the price is quite high. Oh my! No… I do not need to know this. Aha! I knew there’d be ONE that you would like Brigitte. Smelled so many amazing originals at the Osmotheque, it was mind blowing. Now that I’ve sniffed them I’m content. Oh, I fully agree on the state of Versace. It is indicative of Donatella needing to keep mass appeal to keep the house alive. Things sort of went limp after Gianni died. He understood the big is beautiful approach to life. Between Allegra and Donatella, the house of Versace has thinned down and become creatively anaemic. And LVMH…that is a whole post on its own, but who needs my vitriol?? Vintage Givenchy Gentleman, Ungaro Pour L’Homme I, Dior Homme original (they have messed up the Dior Homme, just like Eau Sauvage), Shiseido Feminite du Bois. Yeah, they are different. That big reformulation of DH had some reason but I can’t remember. was it IFRA? I know there was reformulation in 2011 but that was still mildly acceptable. I am talking about recent Dior Homme that I smelled at Sephora about 2 weeks ago. It horrified me. I don’t know if the cold weather interfered with my nose or the bottle was spoiler but the iris was carroty, not the lipsticky iris that is trademark of dior homme…I suspect they have tried to make it less feminine by adding or increasing the amount of some notes, maybe vetiver being one of them but it just did not seem right. I love vintage Givenchy Gentleman, The bottles are here and there but I think I should have at least 400ml of it and I will keep buying more when they come at good prices. The vintages are getting quite expensive over the last 2 years but if you are patient, you can still luck out at times. Wow! that’s a lot of juice! But if you love it then it’s worth collecting especially if you can find it at a good price. Yes to vintage Givenchy Gentleman! Right there with you on Chanel No. 22 EDT! Thank goodness I have one big bottle and that will last me a LONG time, as I don’t wear it every day. I wish the perfume gods would also bring back the original Diorissimo (sob! ), and the 2000 version of Shiseido Zen, by Nathalie Lorson. I even have a backup of the No 22 EdT. It is still in its wrapping paper. I will probably never even get to open it. I could open it for you. I don’t think she meant a backup? 😳 I’m totally different. Would never open anything in the car, I wait for the right moment, which varies. And I don’t own a single back up. (I have 2 bottles of Dries, but one was a gift, an older bottle, not a back up per se) All our different behaviours are so interesting. Yes, that’s it! Have fun spraying! I have a slightly different take on this. I’d like to try the original eau de cologne mixed up by Giovanni Maria Farina, just see where it all started. I have a very early bottle of his (sadly not the original release), but no juice. I understand that Farina still manufacture to the original recipe, but I find it hard to believe that ingredients have not changed over several centuries and with mass-production. I’d love to smell the original. Apparently people used to drink this to ward off bubonic plague, but I think I’d stick to just wearing it. HA! What a great story Greg! The price point the scents were on initial release. Oh and Laura Ashley no1. Wouldn’t it be lovely if the number of dollars was the same now Sally Anne? Although I think perfumes were more expensive as per household incomes back then. Difference being people only had a few, not like us perfumistas. and yes, Laura Ashley no 1…it’s still around but it’s been reformulated and not as good. I think I still have my Vanille Absolument somewhere here. I forgot that JOOP All About Eve….Reminds me I should wear it more often. I’m too new to the party to play this game, but I do hope sometime to smell the older versions of the Diors and Guerlains. And any and all use of oak moss, which I love love love. The loss of oak moss has been a big setback Amy. So sad. Amy get your hands on some real oakmoss. Don’t know where you are but Eden Botanicals sells it (no affiliation). the smell is amazing and a perfume unto itself. Good idea Brigitte! I also have a stash of Aftelier’s Bergamoss in its liquid form and will someday spring for the solid and have a number of other naturals with real oak moss. Just bought BUBs of Dryad and Tobacco Rose in fear they will change. But I am confused about how this works with the small, independent perfumers. Will they be effected by the newer regulations? Ultimately I just go with what smells good and know that I missed some great things. If it’s an IFRA or regulatory change, Papillon & Tauer will reformulate as they are compliant. However most indie perfumers don’t reformulate unless they’re forced too, unlike the big fragrance companies. Oh good to know Tara. It is an IFRA change so I am glad I got the backups on the Papillons. LOVE Byzance. There might be a little stash of it around here. SHHH! I should have included Anne Klein II, which I wore in the mid-80s and early 90s. It now goes for obscene prices on ebay. I have one mini, and a few drops left in my original big bottle. Am planning to try something that is supposed to come close, from Jeffrey Dame, called Duality. I had Anne Klein II and wore it back in the day and thunked it. I am very curious about Dame’s new fragrances and I hope to see a review on your blog. The prices of the full bottles are extraordinarily reasonable so if the fragrances are good that’s a win win. I second L’Arte, it’s magnificent. And I just can’t limit to three so I’ll go in order of importance. Magie Noire (I’m like a stuck record going on about this. Sorry not sorry.) The re-release is just a travesty. I use it as air freshener sometimes. Opium, yeah, still waffling on about this too. Some others have already been mentioned which shows how popular they were. Versace Blonde-was incredibly good. But obviously wasn’t doing the business. Gucci Envy was a friend’s signature and was glorious on her. Fabergé Kiku was my oldest sister’s and I was repeatedly warned to keep my paws off it. Givenchy Organza, I still have a tiny amount left from the year of its release. The newer version is lacking the depth of its predecessor. Max Factor Épris would give some niche offerings a run for their money. VC & A First. I wish I’d stocked up a couple. I still have the empty bottle and sniff it😂 I’m a hopeless idiot, I know. And some fun frags of my youth, Lentheric Panache and Tramp (I have good vintage of both) Yardley Liberty (think it was Yardley.) Blasé (Max Factor?) and one that reminds me of my late brother, Aqua de Gio, not because he wore it but because I received it as a birthday pressie during the time of his illness and I was virtually living in the hospital with him. I wore it every day. So gentle and calming yet with good presence. It’s now gone into the abyss. Crikey you’ve already been more than generous to me, and you know I’m not greedy (not half). Hold onto your scentimental First. Thank you. If you decided to send me a drop I would of course love it dearly. Ha! Wouldn’t offer if I didn’t mean it 🙂 I’ve really still got more than I;m ever going to wear again. VC&A First! I had a bottle way back when. Now that was a serious adulting perfume. Surprised you could pull that one off Cassie 😂. Indeed. Boring as hell, quite frankly. Which explains why I’m reading comments instead of working on electrical plans. And why I’ve made purchases 😂. Perfume ones. Eff this adulting. And I could really wear this well but couldn’t get along with Joy. So many beautiful perfumes were already mentioned and I wish all of them were brought back so each of us could buy a bottle or two to have it for the rest of our lives. My first choice is the 90-ies version of Clinique Wrappings because it used to be my spring perfume for ages…until it got discontinued and afterwards became an “exclusive perfume for Christmas time in selected perfumeries” (and got reformulated, of course). The second one is Jil Sander’s Bath and Beauty in the white glass bottle. The third one would be my mum’s favourite from the seventies – Fete by Molyneaux. Hey Neva! Wrappings has been on my radar for years but the prices are outrageous…. Wrappings!!! That was my winter scent for several years!!! I bought it when it first came out. I’ll just do a shorthand version, in order of importance, ha. Want top three delivered gift-wrapped to my door, stat. Fabergé Kiku for my sister, it was her signature. Aqua de Gio as it reminds me of my late brother. Lots of others have already been mentioned. Several from my youth – Lentheric Panache and Tramp. Max Factor Épris and Le Jardin. Yardley Chique and Blasé. I had le Jardin. Beautiful. Is Fragile DCd? What a pity. I loved the bottle and the scent. 😂 of course you have! Good one Cassie!!!!! Paci Rabanne Calandre and Metal. Je Reviens. Omg 😮 I forgot Fidji. I had both in the mid 80s. Oh yes! I wore Calandre back then as well. The bottle was so industrial and masculine looking. A very mixed bag for me. Firstly, Shalimar perfume. I have two vintages, but they’re from the early eighties. They smell great but not as I remembered. So that’s one. Shalimar from the early 70’s. I did a splendid job stinking up the classrooms of my high school in that. Second would be Love’s Baby Soft. I was wearing that when I met Mr. LH. I was teaching riding and running a stable in the countryside. Wonderful times. Finally Diva EdP. My best friend wore it as a signature scent all throughout the late 80’s and 90’s. She passed away in April of last year and only two years my senior. She was not only my best friend, she was also my cousin. We were inseparable growing up and lived beside each other her entire life. I truly miss her and a whiff of Diva would bring her memory so much closer. I’m so sorry for the loss of your friend, Marcella. Diva is another beauty from the eighties. So sorry to hear this. I hope you have a smidge of Diva to remember her by. I will also second LOve’s Baby Soft…no one ever mentions that one. And yes to Shalimar….it was also in my perfume wardrobe in the 70s and 80s. No Diva sadly. But tell me your opinion on Love’s Baby Soft. In my mind’s memory I thought it was a well-made perfume, and, at the time my nose was used to what we consider the greats now. Shalimar, Chanel No. 5 & 22, Femme, L’Heure Bleu….. Love’s Baby Soft was actually my first and only drug store cheapie. So did it smell cheap? And I only thought it was good? Or, was it, in fact good? It sort of played the same role that Pour Un Homme does for me now. An olfactory break from some of the more heavy/unusual/spine-tingling fragrances in my collection. No my dear the vintage Love’s baby soft was really great…as I have said before many inexpensive drugstore perfumes of the distant past could run circles around lots of today’s niche….in fact I have noticed that some are actually dupes of those drugstore perfumes!!! Suspicions confirmed! I’d love a bottle of LBS. such good memories in that scent.. I am telling you that there is a very expensive niche fragrance that is emulating our baby soft!!! There is a new Tom Ford musk that smells in the ballpark of Loves Baby Soft Marcella. That’s a rather coy response 🤨. Does this alleged Tom Ford scent have a name? Of course, this is for a friend🤥. Tom Ford and myself are not on speaking terms. That’s a real heart breaker. We expect to lose some people, such as parents, but a lifelong friend is an altogether different loss to come to terms with. Thanks Cassie. So terribly unfair. Sikkim by Lancome, Givenchy III, Cabochard, Miss Dior and Scherrer. Oops, only three. That would be Sikkim, Cabochard and Scherrer. No worries Ingrid…we ALL cheated! What a set of lovelies. The original Scherrer is so lovely, rarely talked of too. Ah, I just remember one that I used to wear around 30-35 years ago. It was one of the best hot weather scents and I would pay and arm and a leg to get my hands on a bottle: Germaine Monteil Bain Douceur. I am totally mystified why it has completely disappeared from the face of the earth, there is not even a picture of it on the net. Like it never existed. WOW! That almost never happens Ingrid. Do you remember what its notes were?